Who doesn’t love to occasionally indulge in hot, crisp fried food? While it might be a no-no for the super health conscious, it’s a big yes for foodies who enjoy delicious fried clams, spicy fried chicken or even deep-fried ice cream. The following places in Massachusetts serve exceptional fried food. Allow yourself a treat every now and then, and check one out the next time you’re hungry and in the Bay State. Enjoy some of the best fried chicken around when you visit Super Chicken. Customers love the taste, the crunch and the service. Eat in or take your fried chicken to go. The wings are a fan favorite! For delectable fried clams, along with fried fish, scallops and more, visit Clam Box of Ipswich. An icon in this coastal city, the seafood is fresh and so is the oil in their deep fryers. They pride themselves in swapping it out frequently so everything they serve retains its own flavor. No one likes French fries that taste like fish. You definitely won’t find that here at Clam Box of Ipswich. Treat yourself to fried ice cream for dessert at Thaitation in Boston. Excellent with a hot cup of coffee, the creamy ice cream actually stays cold with the hot, deep fried batter on the outside. If you’ve never enjoyed fried ice cream, it’s a must. But be forewarned. Once won’t be enough! Dine on fried fish and fried chicken at Courthouse Seafood. With a fresh fish market right next door, the sky’s the limit with what can be fried. Enjoy fried shrimp, fried scallops, fried clams and more. Serving the Cambridge community since 1912, they’ve built a stellar reputation around their entrees. A visit to jm Curley means a late-night snack and some cocktails or beers to wash it all down. It also means access to some of the best fried pickles in the Bay State. 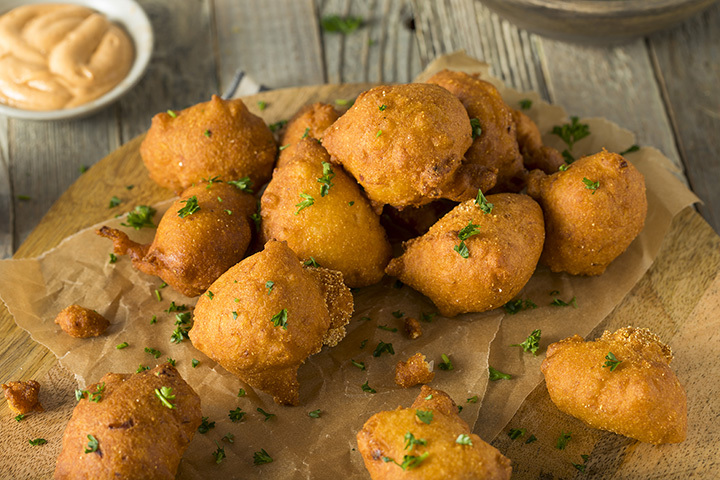 Their house pickles (dill) are battered and deep fried and served up hot with a flavorful Creole mayonnaise. If you order a plate for the table, it’s practically guaranteed you’ll wind up ordering a second one, too. Just save yourself the trouble and double your order at the start. Liberty Bell Restaurant is known for its fried clams, scallops, fish and shrimp, but customers laud them frequently for their delicious onion rings, too. Munch on them solo or alongside some delicious seafood. A large side of onion rings will easily feed three or four people, so beware when ordering. The only question left is whether to smother them in ketchup or eat them plain with just a little salt. Which is your favorite way to indulge? French fries headline the late-night menu at Saus Boston. In fact, they’re served with your choice of 15 distinct sauces. Choose from variations on ketchup, mayonnaise, mustards, herbs and cheeses in a list that makes choosing a difficult task. The house cut fries are made from genuine Idaho potatoes and are fried twice for extra crispiness. The fried cheese ravioli at Petrillo’s Italian Kitchen is the perfect way to start your meal—or to indulge in with cocktails or wine. Crisp and delicious with a creamy cheese blend inside, they can be dipped in red sauce or Alfredo sauce—your choice. Once you’ve had this appetizer, you’ll no doubt want to stay for dinner, too. At the Brown Jug in Chelsea, they sell fried mozzarella sticks at a frenzied pace. Hot and crunchy with melting mozzarella inside, they are perfect when dipped in the house marinara. A perfect appetizer to accompany a few beers, they’ll no doubt whet your appetite for a gourmet pizza. Is it any wonder that a restaurant called Zucchini’s has spectacular fried zucchini on its list of appetizers? Certainly not. Fresh zucchini is sliced and then battered and fried until hot and crisp. Served with the restaurant’s own marinara, it’s the perfect way to start any meal.